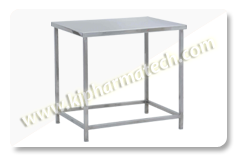 K J Pharma Tech is the most reliable and famous manufacturer in the market for manufacturing a wide range of stainless steel equipments, furniture, tanks, vessels, pharmaceutical and general equipments. Each of the products is made from highest grade of stainless steel materials acquired from the renowned retailers in the market. This wide range of products we deliver is a result of the extremely talented workforce that handles each and every process held in the industry. The experts in our industry check each model under the standard specification and verify their efficiency of performance under number of quality check parameters. 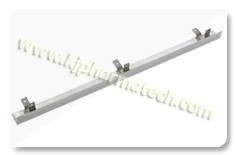 We are considered the specialist in the manufacturing pharma equipments used in pharmaceutical industries. The pharmaceutical industry is advancing day-by-day and is in turn also increasing in demand. The manufacturing of pharmaceutical products requires special controlled environment and hygienic machines to develop a completely safe product. The industry needs to follow precise guidelines and meet the specified criteria to develop the medicines as per the government rules. To make the medicines there are a number of equipments required to execute the processes and generate the final end product. We offer a number of equipments that are used in the pharma industries and hospitals like tablet division, first aid box, boilers, capsule printers, liquid and oral division, etc. 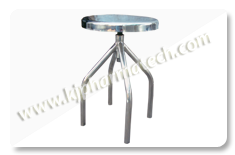 The main benefit of using stainless steel in the pharmaceutical equipments is that it doesn’t get corroded. This makes them ideal for use in the pharma industries as it requires completely safe and hygienic equipments and machines to produce the final product. The stainless steel is made by combining various other elements in it like chromium, silicon, manganese, phosphorous, etc. The amount of the added metal decides the property of the equipment. 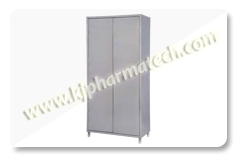 The range of SS pharma equipment we offer are famous for their unparalleled features like smooth finishes, capacity, size, corrosion resistance, low maintenance, etc. 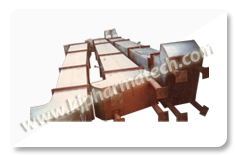 Various industries demand our pharma products for their supreme performance, quality and durability. The SS pharma equipment manufacturer that we develop are made in accordance with the standards specified by the industries. We keep each product in sync to the ISO 9000, US, FDA, MCA standards. The machine we make meet the requirements of the pharma industry and their specifications are regulated on every update in the standards that are proposed by the industries and government. We develop them meeting the stringent safety standards and dictatorial requirements of the machine and equipments. 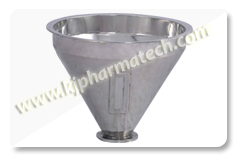 The pharma equipment is developed in the departments equipped with latest technology. We rigorously test the machines under the specified standards. We have special machines designed to analyze the developed product and ensure its efficiency and accuracy. With the advancing technology, we have kept improving our development departments and quality control division to enhance the quality of product and machine that we offer to the customer. 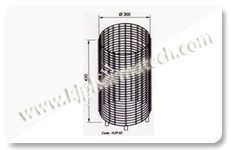 To provide an extensive range of products to the customer, we have various departments that perform a task. The in-sync working of the departments allows the smooth production and working of the process in the company. The departments that we have are design, R&D,planning, production, quality control and assurance, packaging and delivery of product. Our vision lies in becoming the world class manufacturer, supplier and exporter and continuously improve on the quality and the models of SS Pharma Equipment product we offer to the client. In addition to this, we also want to provide a complete solution to the customer and even provide an environment to the workforce where they can get continuous development opportunities and improve their skills. 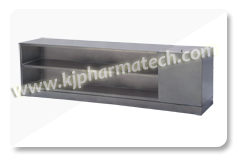 Our SS pharma equipment is developed using CNC machines. We embed new technological features in them. Every developed product is as per the ISO standards. Each equipments are safe and hygienic. Special departments to check the quality. High grade and advanced technology to fabricate the product.